A workplace should be welcoming to as many different kinds of people as possible. Otherwise, ideas can get stale, the pace slow and overall take away from the business. An office needs to be accessible in order to let anyone in. Different kinds of people can make for a much better, and creative, working environment. There are plenty of things an office or business can do to be a more accessible place. It’s also becoming a much more vital part of offices and businesses. 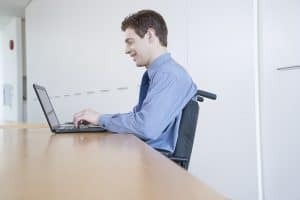 First things first, it needs to be said how important it is to have an accessible working environment – both for inside and outside the office. On one hand, an accessible outside presents itself as a welcoming place to the outside world. It’s also good for the inside as it boosts team morale and everyone working there feels valid and appreciated member of the workforce. One of the most important things to make an easily accessible office is to have the appropriate equipment in place. This can vary depending on the needs of the person involved. There can be low desks, adjustable monitors, and easy to reach plug sockets. Anything that can be done to make a working day easier. This can also stretch outside into the bathrooms and office kitchens. Be it railings in the bathroom or low cupboards. The needs can be addressed in various work meetings. It’s not just the physical equipment or space in an office that makes it more accessible. It is the communication and the team itself that is an important contributing factor to it. Meetings can be held to address the various needs of people in the office. 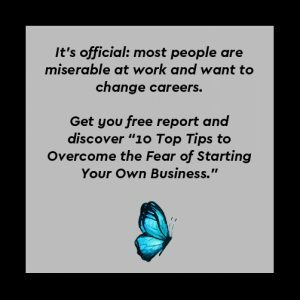 This allows people to discuss what they can do to make life in the work environment easier, and make the office that much more of a welcoming and understanding place to be. In order for someone to be able to move around an office easily, the physical space itself needs to allow them to get around. This is where open plan offices can be the way forward. If this design isn’t possible, try and allow room for wide corridors and limit the number of heavy doors in the workplace. At the very least, make sure there is ample room between desks so it makes easier to get around. Ramps are such a straightforward way of making an office more accessible, both in and outside of the building. Wheelchair users will benefit, as those who need a mobility scooter to get around. Mobility Solutions offer a fantastic range of scooters for people’s needs. The office could make sure wheelchairs and scooters are available on site, this could benefit both employees and visitors to the site.